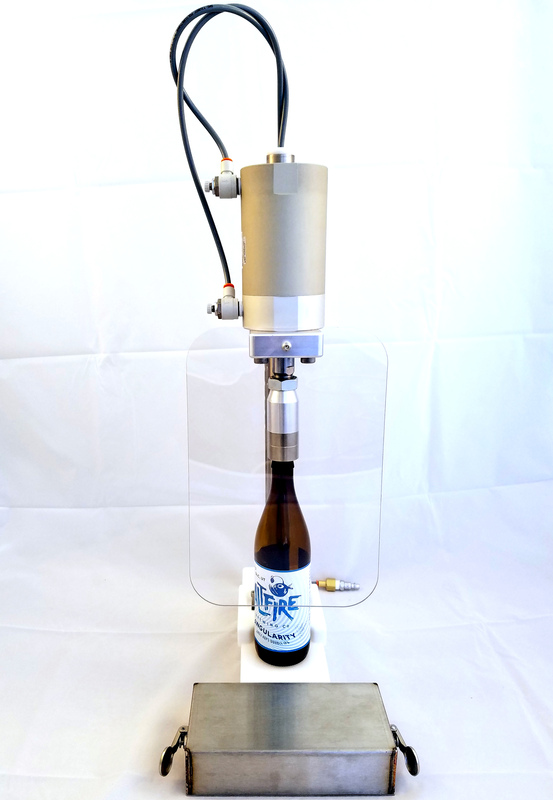 The MFS Pneumatic Capper is the answer to your capping dreams! Perfect for the nano producer to the largest producers that require a small, portable and easily cleaned capping unit. 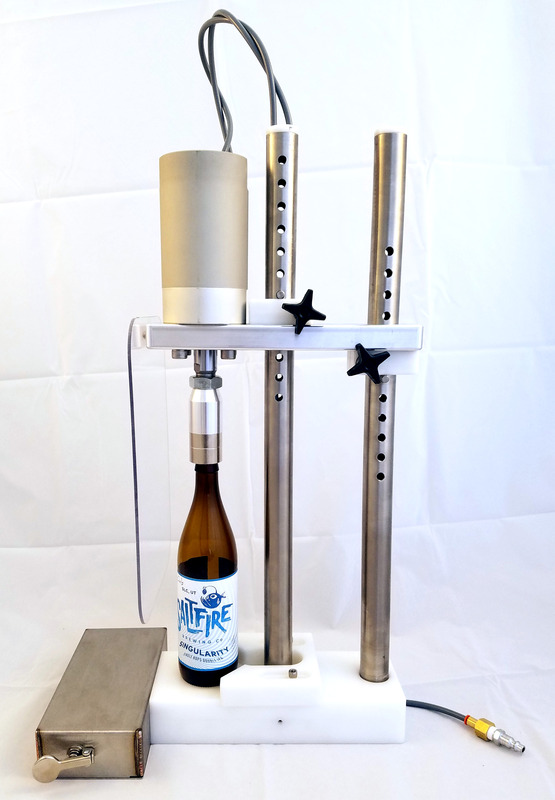 The capper fits a yuge variety of bottle heights and widths by easily adjusting the cylinder height up and down along the stainless tubes and adjusting the bottle cradle back and forth. Made int he USA, this capper will last you for years to come. 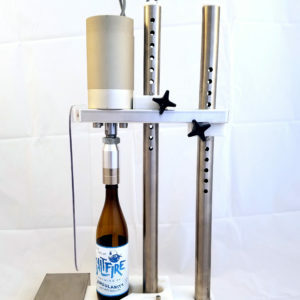 • Easily adjustable to fit a wide variety of bottle heights from 6 inches to 15.5 inches and bottle base diameters up to 4.5 inches. • Choose 26 mm crown cap. • 400 – 800 bottles per hour. • Two lever handle activation and protective bottle screen.